Hanna Rosin Goes Inside 'God's Harvard' Patrick Henry College positions itself as a training ground for young evangelicals to take on the secular mainstream. In God's Harvard, reporter Hanna Rosin chronicles the time she spent embedded at the small Christian school with big ambitions. The ambitious aim of Patrick Henry College is different from that of many conservative Christian colleges. It plans on transforming what it sees as a secular America into a God-fearing one — from the top down. For her book, God's Harvard: A Christian College on a Mission to Save America, former Washington Post reporter Hanna Rosin embedded herself for a year and a half at Patrick Henry, following students and faculty. College founder and president Michael Farris was an attorney and early activist behind the home-schooling movement, and when those children started reaching college age, he established Patrick Henry in 2000 to provide them with both Christian training and a secular, Ivy League-quality education — as "opposition research." The plan is to groom smart, ambitious young evangelicals for influential careers in Congress, in the media, in the sciences and on the Supreme Court. But while they must succeed in the dirty worlds of Washington and Hollywood, they must also retain and spread their fundamentalist faith in creationism or their opposition to gay rights or abortion. In Farris' words, these future leaders must become "shape shifters." At the tiny college located in Virginia near Washington, D.C., Rosin found eager, clean-cut young people who "love their iPods as much as they love Christ." She talked to sharp, thoughtful students who canvassed for politicians and believed that anyone without a personal relationship with Jesus is going to hell. And in its short existence, Patrick Henry has been remarkably successful: The school has had more White House interns than the bigger, more established Georgetown University. Dozens of graduates work for conservative Congressmen. Patrick Henry alums are pitching Christian-themed movies to Hollywood studios. But how does one gain the world without being swayed by it? How do high-achieving teens learn about Plato and Nietzsche and not have their minds changed? On campus, conservative Christian values are enforced right down to the monitoring of the students' iTunes playlists. Rosin found female students who struggled to reconcile their tremendous ambitions with the school's expressed teaching that one day they must become stay-at-home moms. And Rosin was there when faculty dissent erupted over precisely the issue of critical thinking versus school dogma. What began as a 2005 New Yorker article became, Rosin says, a work of anthropology and an examination of how one school has become an experiment in shaping the future of Christian politics and education. 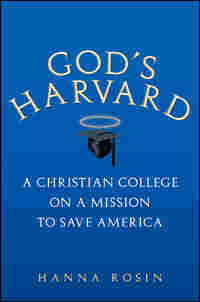 This discussion of God's Harvard took place in September 2007 at the Politics and Prose bookstore in Washington, D.C.
"Welcome, Surfer Ninjas and Knights"
Many seventeen-year-olds brag or exaggerate on their college applications. Not Derek Archer. Even when he wrote to Patrick Henry College about the year that had set the course of his life—the year when he, a homeschooled missionary's kid from a depressed suburb of Akron, got to see President George W. Bush in person—Derek kept his hubris in check. "I would be a fool to believe I made it through the past few months by my might and my power, for truly it was by the Lord's grace and His Spirit alone!" Derek was not one of the school's usual incoming freshman stars known as "the 1600s"—the handful of kids each year who get perfect scores on their SATs and ignore courting letters from Harvard and Stanford to come to Patrick Henry. What he had was not something the six-year-old college could easily boast about in press releases, but what it valued much more: a near-perfect balance of ambition and humility, the one impulse pushing him toward the White House and the other always reminding him Who was really in charge. In a few heady months during the fall of 2004, the Bush campaign had served as one endless, amazing high school field trip—better than going to Europe or Disneyland or Papua, New Guinea, where his family once lived in a house on stilts. He had made phone calls and knocked on doors in the critical swing districts in Ohio, near where he lived. He had won a contest for registering more than 100 voters. He had learned to take verbal abuse with grace. He had created a minor local celebrity by writing articles and flyers under the fogyish nom de plume "Franz Holbein" who complained about "some of the most appalling displays of disrespect this nation has ever seen." Twenty minutes before the polls closed, a car full of rowdies whizzed by him, screaming "Kerry won! Kerry won!" He prayed it couldn't be true, and his prayers were answered. In the battle between the "forces of righteousness and unrighteousness," the right side had won. "Those few months have had a powerful impact on my life in preparing me for the ministry of political activism," he wrote to Patrick Henry. "If in any matter I can bring glory to my God and King, may He grant me the grace to do just that." It's not just that Derek was a missionary's kid and knew how to say the right things. Patrick Henry prides itself on not being your run-of-the-mill Bible college: It doesn't give automatic preference to MKs, who can be just as rotten as any kids. Instead the school takes the measure of its students constantly, probing the nature of each individual's personal relationship with Jesus Christ with the care and trepidation of a parent monitoring a fever, or a schoolgirl checking whether you're still her best friend. Under that microscope, Derek glowed. God's voice was like the sound track to the movie of Derek's life, lending texture and meaning to every action. In return, Derek thanked God for everything. He thanked Him when a seemingly chance meeting led to a great internship at the local Republican headquarters. "The Lord just dropped that one into my lap!" He thanked Him for his mom sending his favorite granola bars, for his sister passing her driving test, for the extra cheese on his turkey sub. He thanked Him for his new used car, although it was dark purple and the AC didn't work and the windows seemed to be glued shut. He thanked Him for his after-school job at Leach's Meats and Sweets down the road, where he worked in the chilly back room hacking up raw chickens and grinding up beef to stuff into their "famous" sausages while tolerating the boss's son's endless tracks of AC/DC ("the worst band in the whole wide world"). "It's really been a blessing," he told me one day as he wiped his knife on an apron streaked with bloodstains. In the year before he left for college, Derek had moved down to the basement of his parents' house in Barberton, six miles south of Akron. In the evenings, his mom, Donna Archer, would go down there to drop off his clean laundry "and see if he's ready to hit the hay, and I'd find him down on his knees praying. As a Christian mom, nothing thrills me more. Nobody was watching him; it's the real thing. He doesn't do it to please us. You can see God's spirit at work in him." "Because of that," his mom added, "I'm not worried if he heads into politics." For Patrick Henry College, Derek was a white sheep, the son you were pretty sure wouldn't roll his eyes at you the minute you turned your head or sneak a cigarette outside his dorm window at night. The school thought of itself as a training ground for political missionaries; its founder, Michael Farris, traveled the country recruiting conservative Christian kids like Derek who were bright, politically minded, and itching to be near the president. Farris was aware of the risks of launching them into the cutthroat and dirty world of politics: He could unwittingly turn out to be the agent of their corruption, involving them in what Derek had once heard described by a pastor as "an innately wicked endeavor." So Derek was a particular gem, a boy who, as much as anyone this side of heaven, seemed incorruptible. where skirts are required. But, she added, "I'm happy for the lack of tattoos and piercings." The campus is tiny, less like an Ivy League college than like a Hollywood set of an old Ivy League school, with one main building and several dorms grouped around a lake, all in Federalist style. The art in Founders Hall is designed to remind the students that America was founded as a Christian nation—a gallery of portraits of the Founding Fathers, all copies, leads up the staircase to the picture of Patrick Henry at the second Virginia convention, a shaft of light from Heaven guiding his speech. 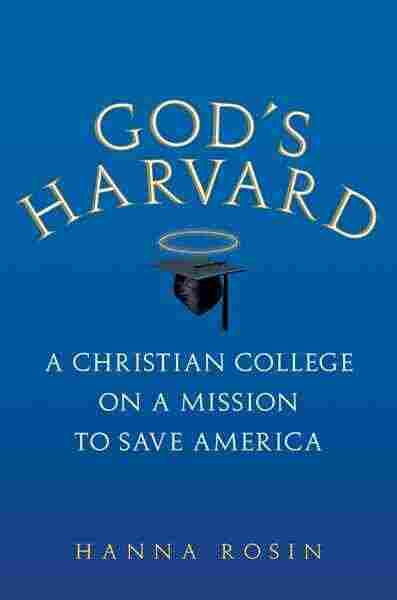 "Harvard for Homeschoolers," founder Michael Farris likes to call it, invoking the Harvard of earlier days, whose laws instructed students to "know God and Jesus Christ." The last time Derek was on campus, his assigned dorm hadn't been built yet, and when he saw it, he was impressed. "So stately," he said, noting the chandelier in the entranceway and the winding staircase leading up to his room on the second floor. But the first thing that struck me about the boys' dorms was what was missing. Even during moving week, there were no flip-flops and shorts, because the dress code encourages "glorifying God with your appearance." There were no iPod speakers perched on anyone's windows, shuffling from Beyoncé to Coldplay, because iTunes lists are monitored and headphones are encouraged. There were no movie posters zeroing in on Scarlett Johansson's cleavage, and no live cleavage either, because girls are required to cover their chests and, in any event, girls aren't allowed in boys' dorms. There was no impatient "Mom, aren't you guys going somewhere for dinner?" and no sneaking around to figure out where the rush parties were because at Patrick Henry there are hardly ever parties, and drinking and dancing are not allowed. There were no heaps of clothes on the floor, or open bags of Cheetos. The only thing left blocking the hallway for any amount of time was an ironing board—an ironing board, in a boys' dorm! 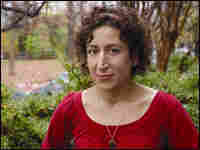 Excerpted from God's Harvard © 2007 by Hanna Rosin. Reprinted by permission of Harcourt, Inc.